If you still can’t quite decide if EC4U is what you need, then why not let some of our satisfied customers give their opinion, and explain how EC4U has helped them on the road to a sucessful career. 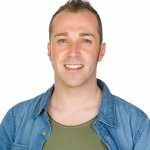 Dean worked as a labourer for nearly ten years in the Brighton area before deciding that it was time for a career change. He retrained with EC4U, completing the 20 day course, and soon began filling up his work diary. He loves the freedom of his new role; the chance to move around and meet new faces, and he gets a lot of satisfaction from helping people. Recently one of Dean’s former labourer friends took a pat testing course that enabled him to test and inspect electrical equipment. It became a great supplement to his income, and he recommended that Dean take the course to boost his own earning potential. Dean went back to EC4U and took the two day course. He learned about the huge health and safety push that affected all businesses, requiring them to pat test all their equipment, and keep up to date with the relevant paperwork, meaning that there was a huge demand for people who had the correct qualifications. Dean soon learned the relevant skills, and the tutors coached him through the tricky paperwork management in a patient and effective manner.